This recipe was inspired by Tasty Yummies! 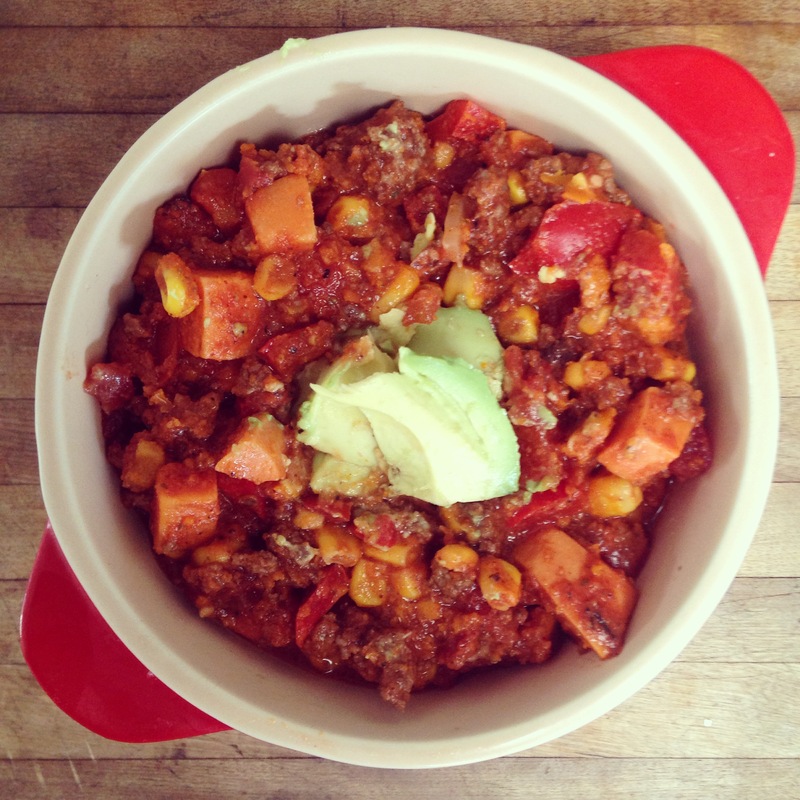 I made her delicious Spicy Southwest Chili-Loaded Yams and ended up having almost a full bag of organic sweet corn leftover in my freezer. I don’t eat corn very often. I’ve never been a corn-on-the-cob person. I always felt like it was too high maintenance of an eating experience. The mess, the stuff in the teeth, the relatively little amount of food for all the effort… Is that weird? Am I the only one that feels that way? If you’re on a strict paleo journey, you can certainly leave out the corn and possible add some diced sweet potato (the white kind) or some yellow bell peppers for that beautiful sunshiney color. In a soup pot, over medium high heat, add a bit of oil and toast corn until a little brown and fragrant. Remove from pot and set aside till the end. Brown meat and add onion and garlic and sauté until fragrant. Add remaining ingredients and simmer until yams are soft.